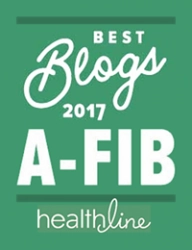 Beware of misleading and incorrect A-Fib information published by reputable sources on the internet and in print media. Steve S. Ryan, PhD, gives three specific examples of why you need to be on the lookout for inaccurate statements about Atrial Fibrillation. 3:59 min. 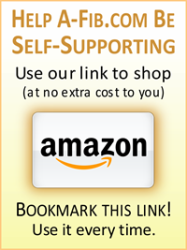 Click to Watch video. Steve Ryan and host Skip E. Lowe talk about the heart in Atrial Fibrillation: how the quivering heart muscle leads to reduced blood flow to the brain and other organs, to re-shaping (remodeling) over time, and the importance of seeking treatment. Dr. Ryan describes how his A-Fib was cured by catheter ablation in 1998. 3:31 min. Click to Watch video. Dr David Snow, host of Doctor Health Radio, talks with Steve S. Ryan, PhD, about magnesium and potassium deficiencies, both common among A-Fib patients; how ‘calcium overload’ can actually bring on Atrial Fibrillation; and other supplements to promote a healthy heart. (Format: radio interview with graphic slides.) 5:27 min. Click to watch video. Host Skip E. Lowe interviews Steve S Ryan, PhD, about Atrial Fibrillation. 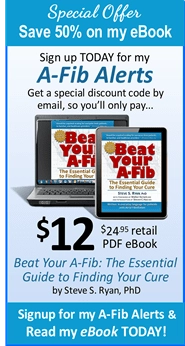 Topics include A-Fib symptoms, causes, cures and Dr. Ryan’s book, Beat Your A-Fib – The Essential Guide to Finding Your Cure. Skip E. relays his own experiences with A-Fib. 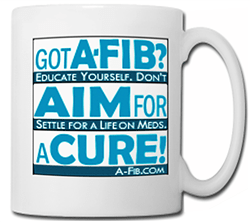 Dr. Ryan warns about incorrect A-Fib information found on the internet and in print media. 14:53 min. Click to Watch video. 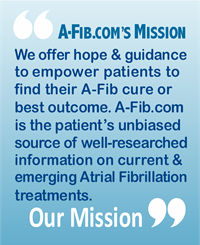 Steve Ryan was one of eight A-Fib bloggers and social media authors invited to attend a first-of-its-kind “AFib Digital Influencer Summit” to discuss Atrial Fibrillation from a patient’s perspective. Highlights of participants who reflect on the needs of A-Fib patients. Hosted by Janssen Pharmaceuticals, Chicago, IL, November 2014. 4:13 min. 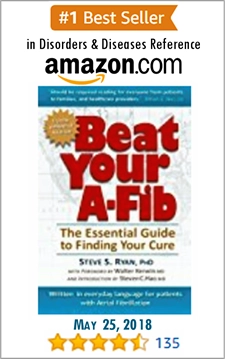 For a list of TV and Radio Shows and Interviews with Steve S. Ryan, PhD, go to the Press Room for Dr. Ryan’s book, Beat Your A-Fib: The Essential Guide to Finding Your Cure.